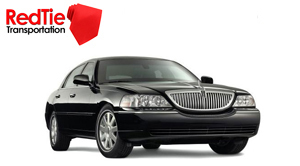 RedTie Transportation is the premier provider of top end Transportation, throughout the nation. We specialize in luxury limousines for all events, wherever the location it might be. Our top of the level limousine are available to include that extra special touch. If you are looking for something remarkable in a special occasion, bear in mind we are here to serve with the best. RedTie Transportation has become the leading San Francisco limo service by providing their clients with impeccable service, the best selection of luxury limousines in the Bay Area, and the most flexible rates in the industry. 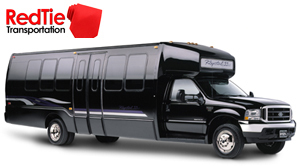 From Bay area wedding limousines to Bay Area sporting event transportation to SF prom limos, airport shuttle service, or any occasion that you’d like to make extra special, call the posh ground transportation specialists at Redtie when you want the most effective. Our San Francisco limo amenities are designed to make an impression on and delight you no matter where we’re taking you. Choose from the carefully selected fleet of luxury limousines and enjoy exclusive luxury therapy. Our hire support comes with dedicated as well as professional drivers to help keep you constantly on the go, whenever required. The chauffeurs are expertly trained to be at your service with professionalism and friendliness. We have been operating for several years, successfully providing a professional service to many customers. While we provide the best quality limousine service to be located in the Bay Area, the rates are also one of the most competitive. To and from Airport (SFO, OAK and SJC) transfers could possibly get stressful at times, especially when you have to worry about traffic, car park expenses, transporting luggage and queuing for a Bus or even Taxi. So why not forget about all that next time a person travel and let’s provide you with a comfortable trip. A Chauffeur may pick you up in a Luxury Car from your home or office, assist you with the luggage and generate you safely towards the Airport. When coming back we will “meet & greet” you and also get you to your desired location. These moments tend to be what memories are constructed with. RedTie knows just how unique your wedding day is and it is honored to be considered as the Wedding Limousine service provider. With attention to the finest details our objective is to make your big day a memorable. Our reservation agents will work side by side with you to ensure all aspects of your reservation tend to be correct & concise. Whenever booking your Bay Area Wedding Limo The reservation agents may consult with you first and will email you a verification with step by step redirecting . If you prefer to have a internally consultation, we welcome you to call and routine an appointment . We will gladly show you our modern number of wedding Limousines as well as sit side by side with you & your fiancée to assist in reserving your wedding limo . Sign Hill, which rises to the north of the city bears large white letters that proclaim: “South San Francisco, The Industrial City,” which refers mainly to the flat land east of the Bayshore Freeway (US 101). Locals often refer to the town as “South City,” in much the same way that San Francisco is called “The City.” People unfamiliar with the area often mistake “South San Francisco” as the southern part of the city of San Francisco. In fact, the city of South San Francisco is not even contiguous with the city of San Francisco, due to the city of Brisbane being between it and San Francisco itself.